Fast-bowler Wahab Riaz, meanwhile, has expressed his disappointment over missing out. 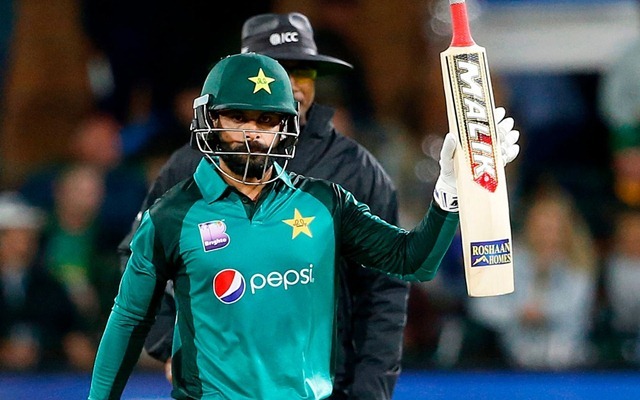 Pakistan’s Mohammad Hafeez has brightened up his chances of making it to the World Cup after clearing his fitness test. The veteran all-rounder was doubtful for the mega event after breaking his finger while playing for Lahore Qalandars in this year’s Pakistan Super League. Hafeez had suffered a serious injury while trying to stop a ball hit by Colin Ingram in his followthrough. He was subsequently ruled out of the tournament. What made his chances even further bleak was that he had to go under the knife not once but twice. In fact, he was also doubtful for the fitness test. However, the selectors named him in the 23-man probables list and the all-rounder has repaid the faith by clearing the fitness test at the National Cricket Academy in Lahore. The Pakistan Cricket Board confirmed that it conducted fitness tests of the 23 men but refrained from revealing the test results. But according to media reports, sources have confirmed that except for all-rounder Imad Wasim and in-form batsman Abid Ali, all the other players passed the tests by reaching or clearing the required 17.4 points base in the yo-yo test. The source said that Imad’s chances were hampered by a knee problem and the all-rounder is undergoing rehabilitation at the NCA. It was also revealed that he underwent an unofficial test but failed to clear it. “Imad is hampered by a knee problem which has flared up again and is undergoing rehab at the NCA while Abid failed the test,” the source was quoted as saying by Cricketnext. In case Imad fails to make the cut for the World Cup, Pakistan are likely to name left-arm spin batting all-rounder Muhammad Nawaz in the side. Unlike Imad, Nawaz has cleared the fitness test. Pakistan will announce their World Cup squad on April 18. Fast-bowler Wahab Riaz, meanwhile, has expressed his disappointment over missing out on the World Cup chances. The left-arm pacer was not named in the probables list despite impressing in the domestic circuit. Wahab had impressed for Pakistan in the last two editions of the World Cup. “It is very disappointing for me to not be considered for the World Cup in which I have always come up with good performances. But I can only do my best and hope for the best,” Wahab had told a private tv channel.